Stefan Ahnhem is an established Swedish screenwriter for TV and film (e.g. he has worked on scripts for the Wallander series). Ahnhem has now taken the step into the book world and he does it magnificently. Criminal investigator Fabian Risk and his family move back to his hometown Helsingborg in southern Sweden and he is quickly asked to investigate a brutal murder. At the crime scene they find an old class photo, where the victim’s face has been crossed out. The victim is Fabian’s old classmate and the photo is from their class, which raises the stakes even more since someone seems to be out to get more people on the photo. 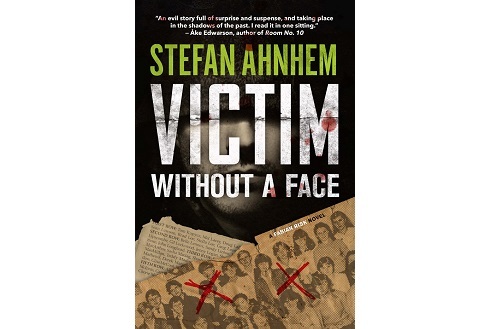 Victim Without a Face is the first book in the Fabian Risk series. If you like it, the prequel The Ninth Grave was recently published. I have not read it yet, but it is waiting impatiently in my to-read book pile. The novel recently won the Crimetime Specsavers Award 2015. Original title in Swedish: Offer utan ansikte.